This course is designed to teach Autodesk Fusion 360® in the way that I learn best - with start to finish project tutorials. As a self-taught 3D modeler, I found it difficult and frustrating to understand a tool or process without having any context for when it might be used. If you'd like to get a feel for what the course videos look like, scroll down to the curriculum and watch one labeled "FREE." You'll need to create an account, but there is no obligation to purchase the course. If it looks like a good fit, proceed with purchasing the course! If you don't like it, we'll refund 100% of your purchase price. The purchase price includes unlimited access to the course for as long as you'd like. Autodesk and Fusion 360 are registered trademarks or trademarks of Autodesk, Inc., and/or its subsidiaries and/or affiliates in the USA and/or other countries. This website is not affiliated with, sponsored, endorsed, approved, or otherwise authorized by Autodesk, Inc.
Mike Moyer and his wife Lauren run the YouTube channel "Mike and Lauren" where they post DIY and how-to videos. While the majority of their projects are woodworking, Mike is not afraid to experiment with electronics, 3D printing, or car repairs. 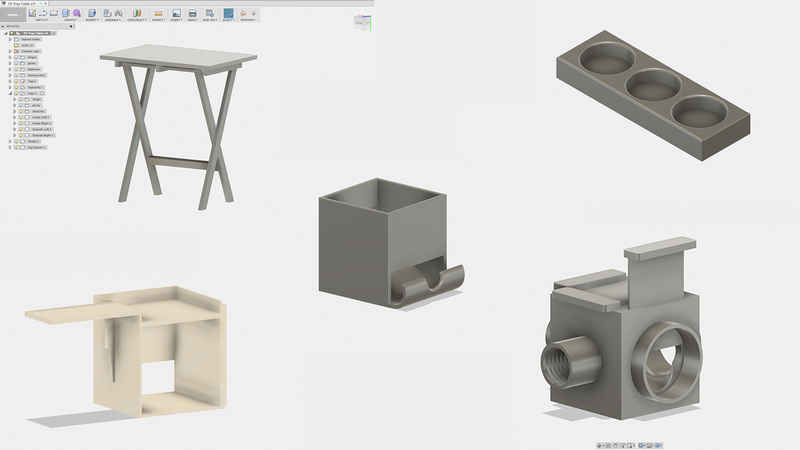 Mike uses Fusion 360 on a daily basis to "virtually prototype" his ideas before building them in the shop. My Screen Doesn't Look Right? Splitting and combining objects in your design.